Giuseppe Iazeolla is full Professor of Computer Engineering, extraordinary TD, at the Faculty of Applied Sciences and Technologies, Guglielmo Marconi non-State University of Rome (Chair of Software Engineering and System Performance), where he founded the Bachelor's and Master's Degree in Computer Engineering. He was previously full Professor of Computer Science (Chair of Methods for Information Processing) at the University of Pisa, and later full Professor of Computer Engineering at the University of Rome-TorVergata (Chair of Systems for Information Processing and Chair of Software Engineering). In addition to CNR and University, prof. Iazeolla has carried out research at the Massachusetts Institute of Technology, MIT, Project MAC, Cambridge, US, at the Concurrent Engineering Research Center, University of West Virginia, US, and at the Data Network Architecture Center, University of Cape Town, SA, and positions in industrial companies (SELENIA SpA Naples and Rome) in digital electronics. In the Universities he taught theoretical computer science, computer architectures, operating systems, continuous and discrete sequential simulation, parallel and distributed simulation, reliability , quality and performance of computer systems, of software systems and of networks. • Sequential, parallel and distributed simulation methods and languages. with activities conducted both nationally and internationally, with over 120 articles, 7 books, 6 editions and monographs, and dozens of scientific reports (see Publications List), detailed in Sections A, B, C, D below. A) In the computer machinery field prof. Iazeolla has contributed to the introduction of state-of-the art scientific machinery in the country: : the Olivetti-ELEA 9104 in the late 60s and the Intel iPSC/2 Hypercube in the 80s. 1) In the early years at INAC he introduced, with Paolo Ercoli, the great mainframe for scientific applications produced by Olivetti-electronics, the ELEA 9104 machine, later named CINAC (Calculator INAC). The machine, totally solid state, was born to compete with the largest European and US mainframes of the time (such as the Multics GE 645 (in whose research group at MIT prof. Iazeolla participated) , the Borroughs B5000, the CTSS 704 IBM). It was equipped with stack memory for the fast treatment of block languages ​​of the ALGOL family, and an entirely microprogrammed set of instructions oriented to virtual memory, multiprogramming and time-sharing (see Scientific Publications [2, 3, 4] and CINAC Reports [1, 2, 3, 4, 5, 6]). 2) In the early years at the University of Rome-TorVergata, he introduced the Intel iPSC/2 Hypercube, a 4-dimensional-cube multiprocessor architecture, able to match the performance of vector supercomputers at a fraction of their cost (10K $ for Mflop against 1000K $ for MFlop ( see Dossiers [4, 5] and Scientific Publications [41, 42, 43, 44, 46, 47, 48, 51, 52, 53, 54, 62])). B) In the scientific knowledge field, prof. Iazeolla has contributed to the dissemination of cutting-edge computer skills in the field of Discrete-event Simulation and of Performance and Reliability of computer systems and of mobile and ICT systems with national and international awards. 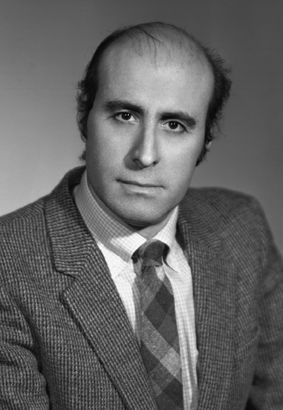 1) With his works initially at Pisa University he has spread the discipline of Discrete event Simulation for the analysis of mathematically intractable systems (see Books [2, 3, 4, 7, 8, 10, 11, 12], Editions [7, 8] and Scientific Publications [15, 17, 18, 20, 49, 50, 57, 63, 71, 76, 77, 81]). 2) At same time from Pisa he spread the discipline of Computer Performance Evaluation for the study of system performance and reliability (see Editions [5, 6, 9], Dossiers [2,3] and Scientific Publications [1, 5, 6, 7, 8, 9, 10, 11, 12, 13, 14, 16, 19, 21, 22, 23, 24, 25, 26, 27, 28, 29, 30, 31, 32, 33, 34, 35, 36, 37]). 3) Later, in Roma-TorVergata University, he developed works on Parallel, Distributed and Web-based Simulation by extending to parallel and web architectures his knowledge on discrete event simulation, (see Books [11, 12] and Scientific Publications [53, 58, 60, 62, 64, 67, 70, 72, 90, 93, 94, 95, 96, 97, 99, 100, 101, 102, 103, 104, 105, 106, 108, 121]). 4) At same time, in Roma-TorVergata, he developed studies and works on Software Performance, Reliability and Quality evaluation, by extending to software engineering his knowledge on computer performance and reliability (see Books , Dossiers [2, 3], and Scientific Publications [38, 39, 40, 45 , 55, 56, 59, 61, 63, 65, 66, 68, 69, 73, 74, 75, 78, 79, 80, 82, 83, 84, 85, 86, 87, 88, 120]). 5) In Roma-Torvergata and lately Marconi University he also developed studies on the Performance of mobile and ICT (Information & Communication Technology) Systems (see Scientific Publications [89, 91, 92 , 98, 107, 109, 110, 111, 112, 113, 114, 115, 116, 117, 118, 119, 122] and Recent Reports [1,2]). · The "IFIP Working Group 7.3 on Computer Performance Evaluation"
· The Performance Review Commission of EUROCONTROL, the European Organization for the Safety of Air Navigation. · The SCSI (Society for Computer Simulation International). · The European Simulation Symposium since 1985. · The MCPR Workshop (Mathematical Computer Performance and Reliability Workshop) today Mathematical Performance Modeling and Analysis (MAMA) Conference and Matrix-Analytic Methods in Stochastic Models Conference. · The CERTIA Research Center (Center for Research and Education in Advanced Informatics Technologies and Applications), the University of Roma Torvergata- Industry Consortium operating in the fields of software engineering, simulation, parallel computing, cooperative and multimedia computing, internetworking. Projects were both at the European and US level, with funding from the Ministry of University and Research, the National Research Council, the European Community and important international Institutions and Universities (see List of National, European, US and Overseas Research Projects).